Jaymun is back for his second round of chemo. He's doing well so far, hanging in there like the little trooper we've discovered him to be. When we came back to the hospital on Tuesday, he first had to have a spinal tap in the upstairs clinic. Dave and I had noticed that he had new "bruises" appearing on his cheek and under his eye the past couple of days. The doctor told us she was concerned that his cancer was spreading too rapidly for the chemo to keep up and that they were going to need to test his bone marrow again to see if the leukemia had spread. The world feels like it can indeed stop spinning sometimes. I looked down at our baby lying on the treatment room table. He was sedated from the spinal tap and was sleeping pretty soundly. He looked so small on that big bed, just this little helpless human being-and it occurred to me that for the rest of his life, we are going to have moments like this. The kind of moments where we think things are going along alright and then wham! Dave and I don't even have to look at each other, because we know that the fear that grips our hearts is the same.As weeks flow into weeks, we are painfully realizing that we are dealing with a very insidious disease. It's just blood, for crying out loud. All of us have it, it flows through all of our bodies, it's a fluid that we all need to survive-but in little Jaymun's case, this blood has become the enemy. I've always taken it for granted, the way our bodies work. Never needed to think twice about waking up and being grateful for my body manufacturing the stuff. And now I'm slowly becoming an expert on it. Now I hear an annoucement from a doctor about my son's blood counts and I'm seized by this gripping worry about what's going on inside his little body that we can't see and more frustrating, can't control. It was decided to do another bone marrow aspiration procedure while he was still sedated. All things considered, it was a smart decision -Jaymun would have had to go without eating again for another day and I think we all know where he stands on that business. :) They moved us back downstairs into our room on the HOT unit after his procedures. There aren't any words to describe the ball of fear gnawing inside of us while we waited to hear the test results. 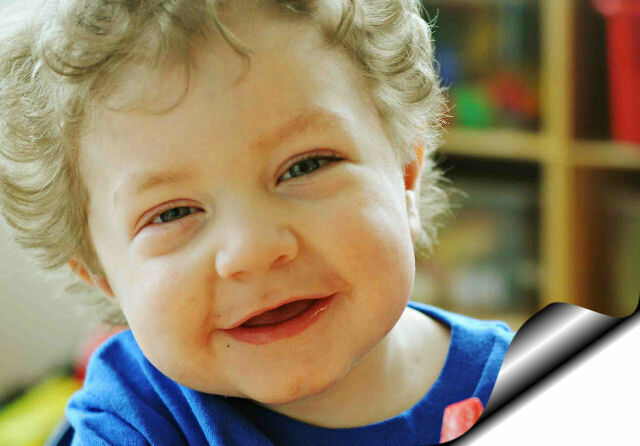 If the bone marrow was infected, his chemo treatments would have to be reevaulated and changed. It would mean we were losing ground on all his prior progress. The doctors came in a couple of hours later and immediately told us the news that so far, his bone marrow is clear. Clear. Never was a word so appreciated. It means that even though we still have to proceed with chemo, at least things are still on track. I still have to stay here for weeks and weeks. Jaymun still has to go through intense treatment. Our family still has to be separated. We still have months of worry and stress and frustration and heartache. But to hear that his bone marrow is not infected yet means that for now, we can breathe a bit easier. Jaymun has a rough road still ahead of him, but for now he can at least keep forging ahead little by little on the original path the doctors prescribed for him. I've learned a lot living in this place. Jaymun has taught me so much already that I'm amazed at what ten weeks can do to a person's perspective. Ten weeks ago, I might have bypassed counting my blessings for good health. Not anymore. Everyday I wake up and think about what his blood is doing under the surface. I pray that his day is full of strength, and health, and happiness. I pick out all the little things that I can be thankful for so I don't focus too much on the crummy stuff that is trying to beat us down. I keep a journal on Jaymun's progress to remind myself that he is conquering some incredible hurdles. I try to make his day as full of smiles as I can to distract us both from getting depressed in this tiny room. I read the cards that people send me to feel connected to the outside world. For all of you who are reading this (and I have no idea who you may be--we definitely need to add a Comments section to this website-hint, hint Dave), I thank you as always for being concerned enough to stay informed about our Jaymun. Maybe he's teaching some of you about life as well-it's possible to learn from a baby, I've discovered. Take some time today to think about that miraculous liquid we call "blood"-it's amazing how much our bodies depend on it. I'm slowly realizing that not only am I thankful for how well mine works, I'm praying that someday our baby's will be cancer-free as well. Free- and clear.